“We are getting ready to embrace a hydrogen society,” said Tokuo Fukuichi, president of Lexus International, as he unveiled the brand’s new concept car at the Tokyo Motor Show in late October. Sleek and shiny, the LF-FC could have been just another of the many luxury sports cars glittering under the convention center’s fluorescent lights. But the overflow crowd didn’t come to look at sheet metal. 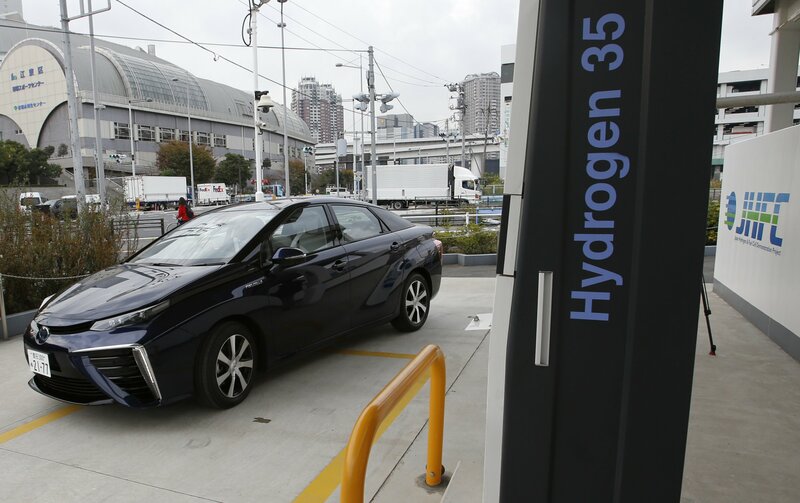 The real draw lay closer to the chassis: a fuel cell stack that powers the car by converting hydrogen into electricity. Unlike gasoline engines, which send a noxious cocktail of gases out the tailpipe, fuel cells emit nothing but water vapor.